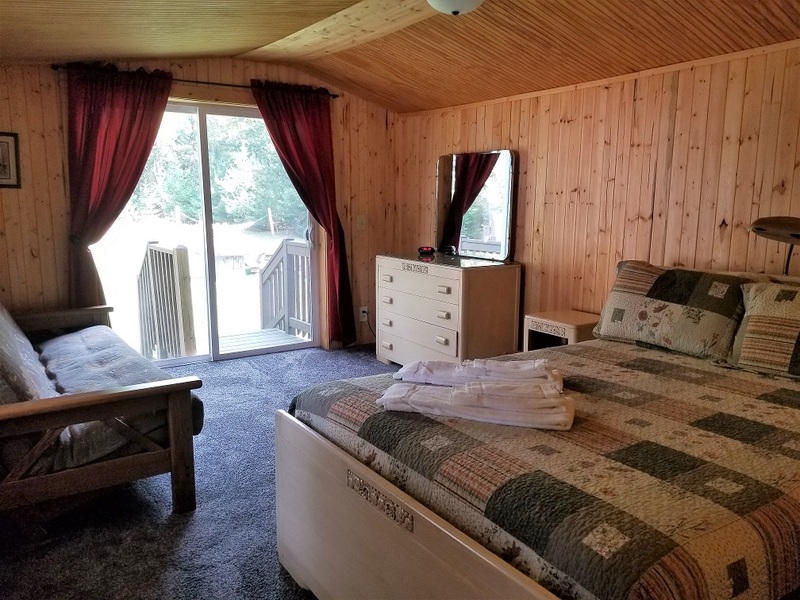 This cabin has a washer/dryer and is nicely air-conditioned. 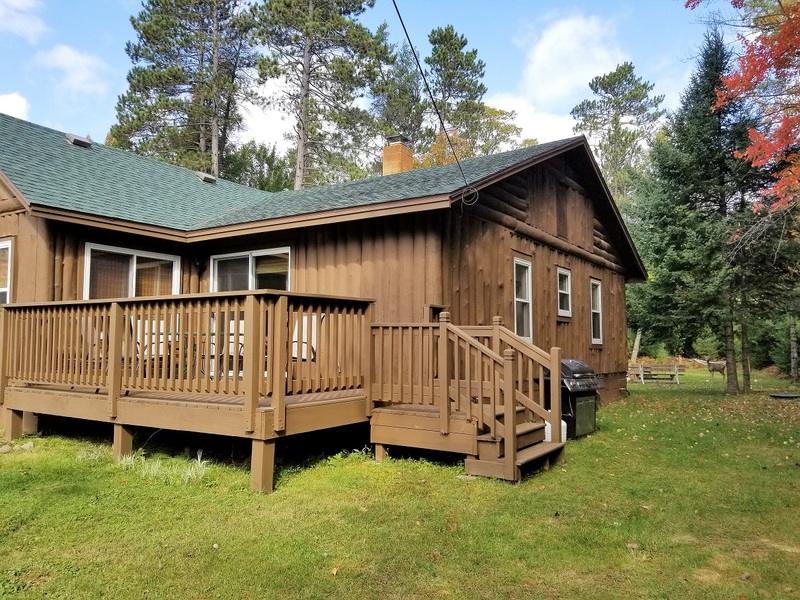 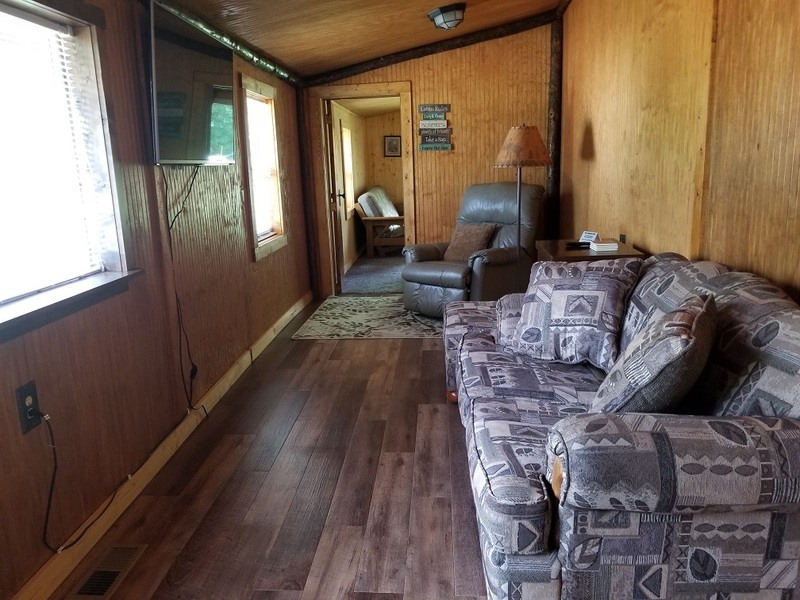 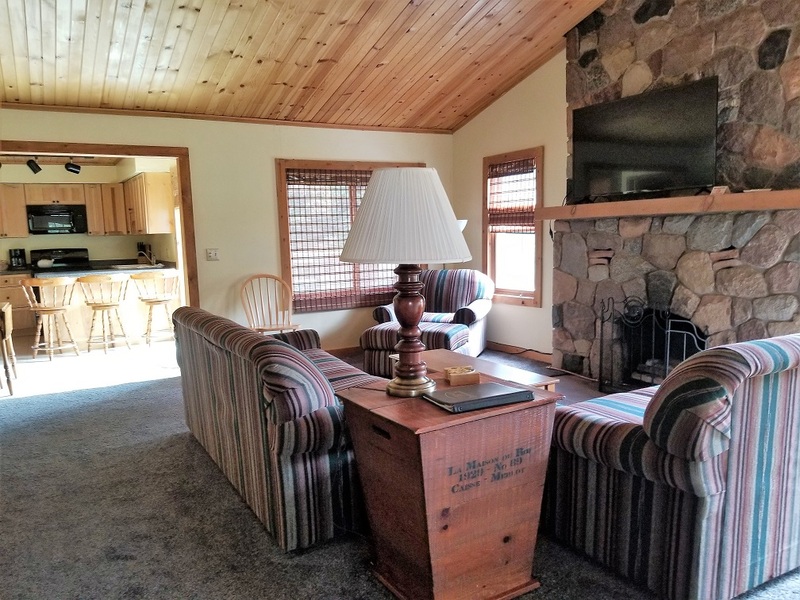 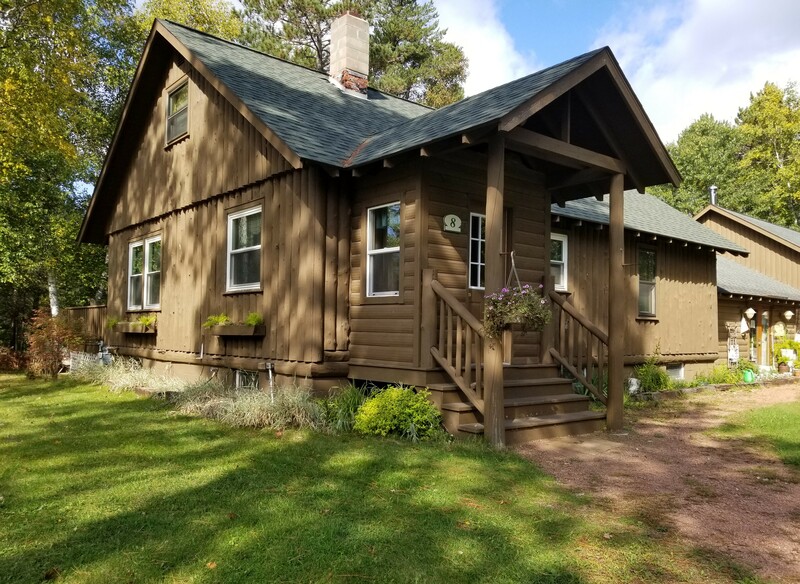 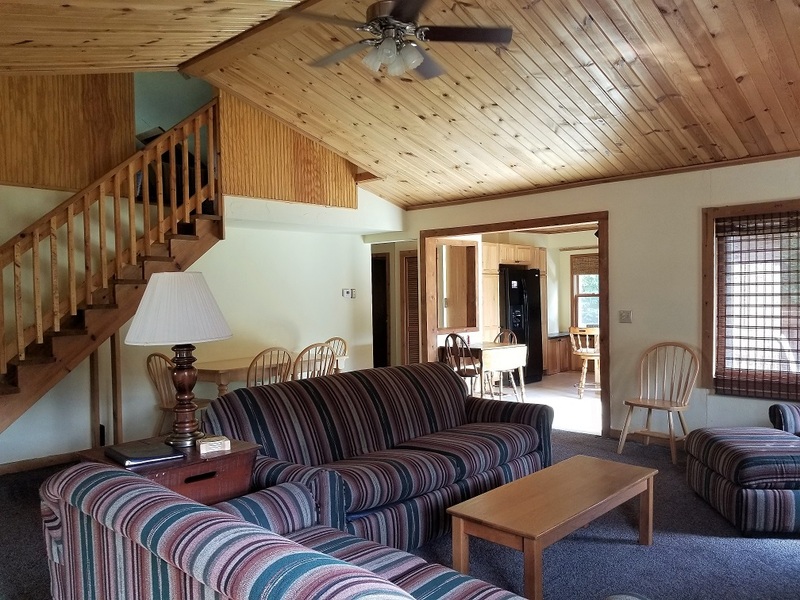 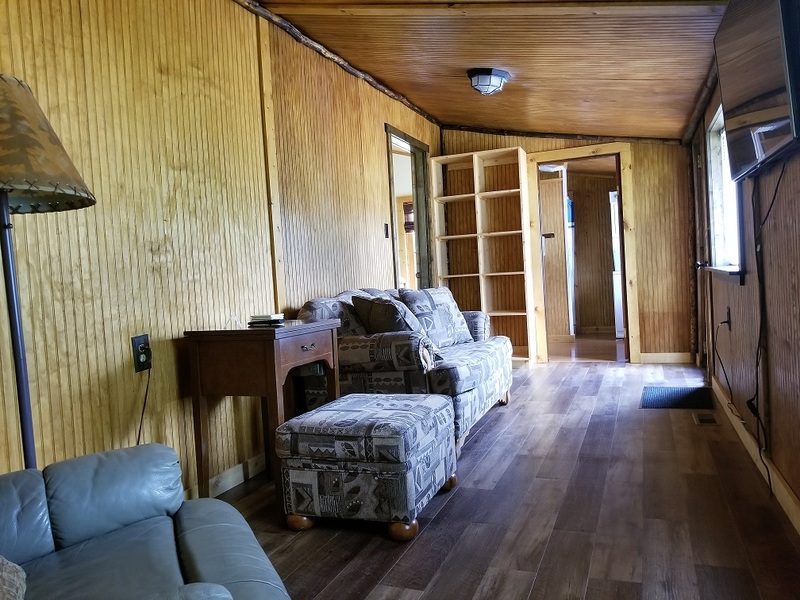 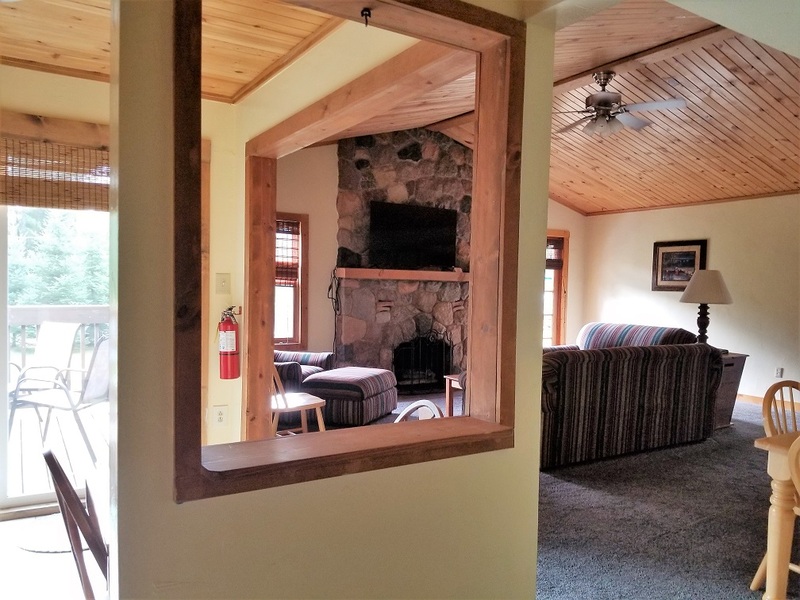 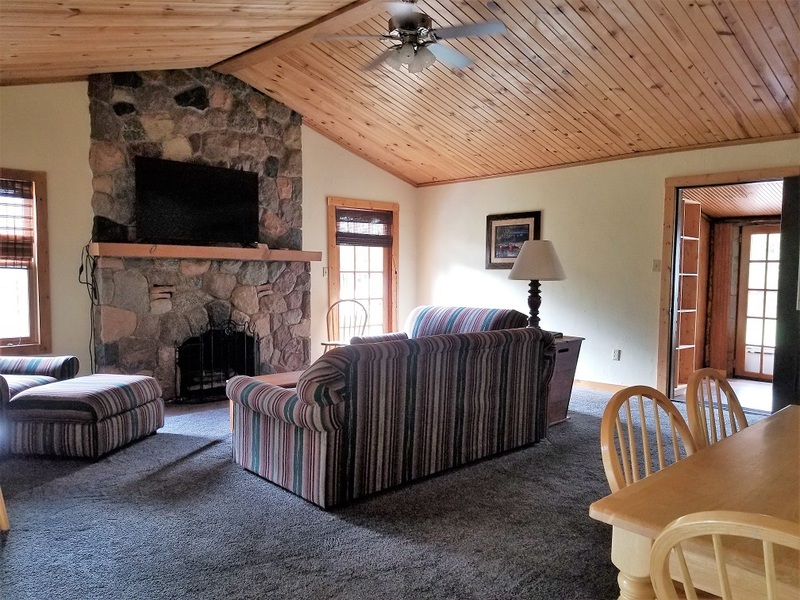 You will find 2 large flat screen cable TVs (one is a smart TV) a sleeper sofa, love seat, easy chair & ottoman and a gas fireplace in the large living room and additional family space on the porch. 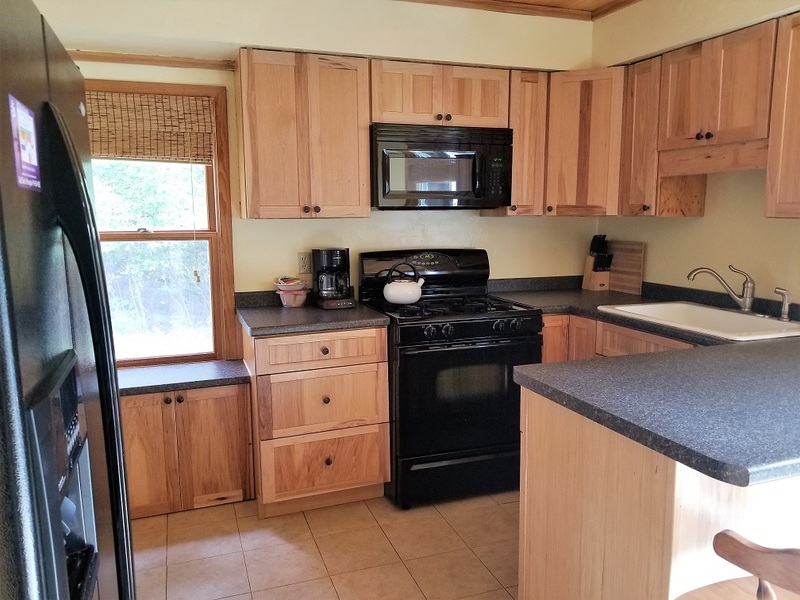 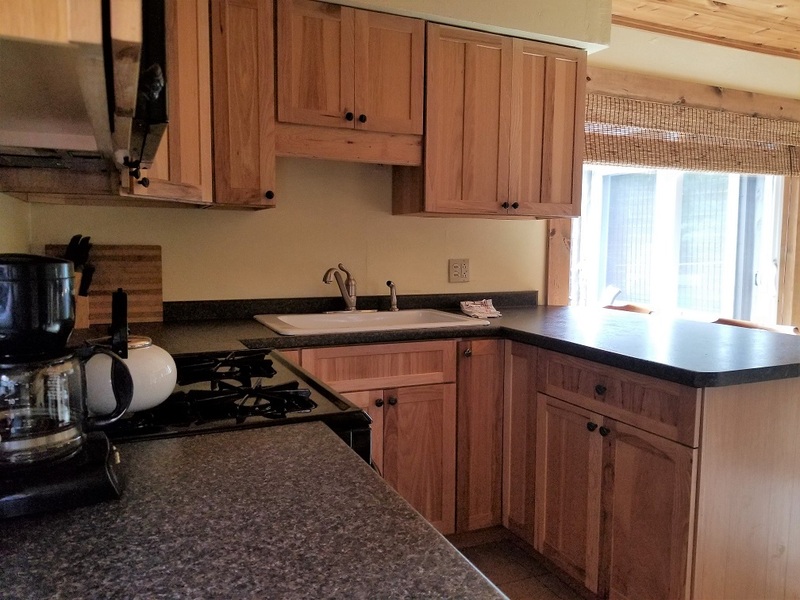 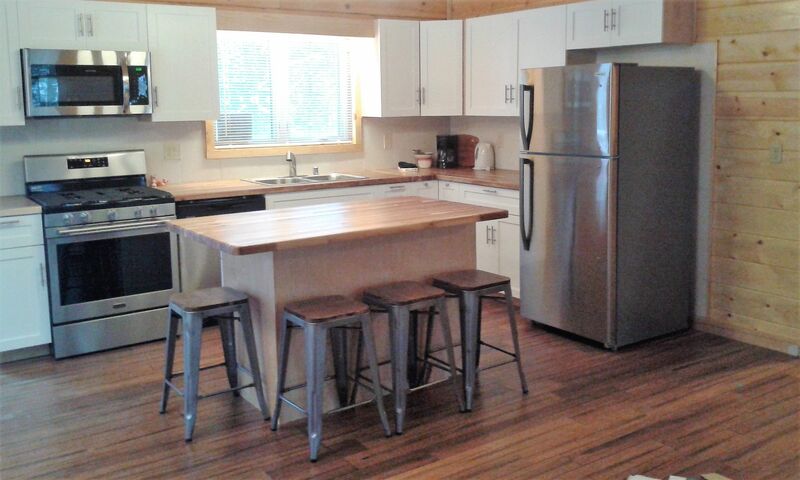 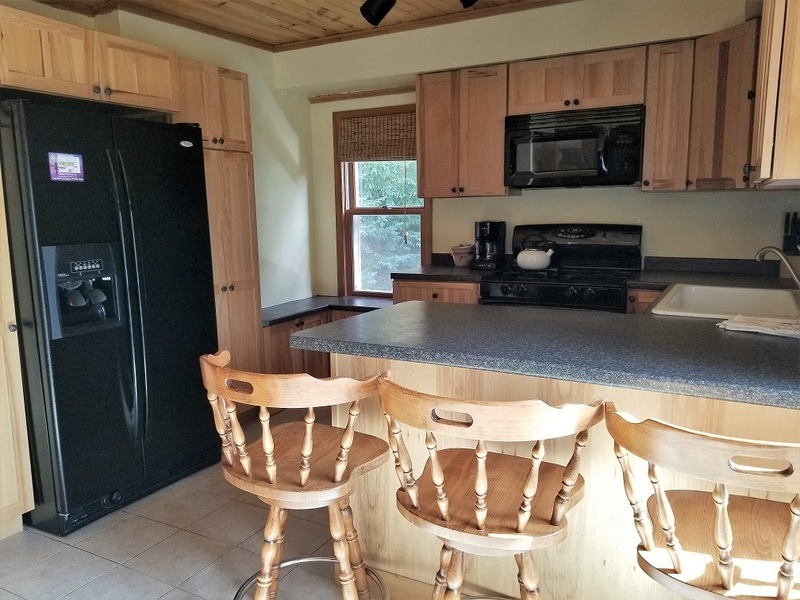 The cozy kitchen is gourmet with all the traditional appliances and has a nice deck off the dining area. 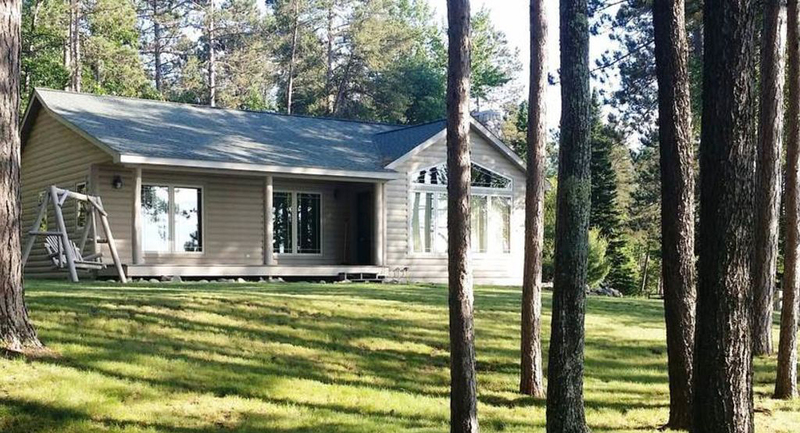 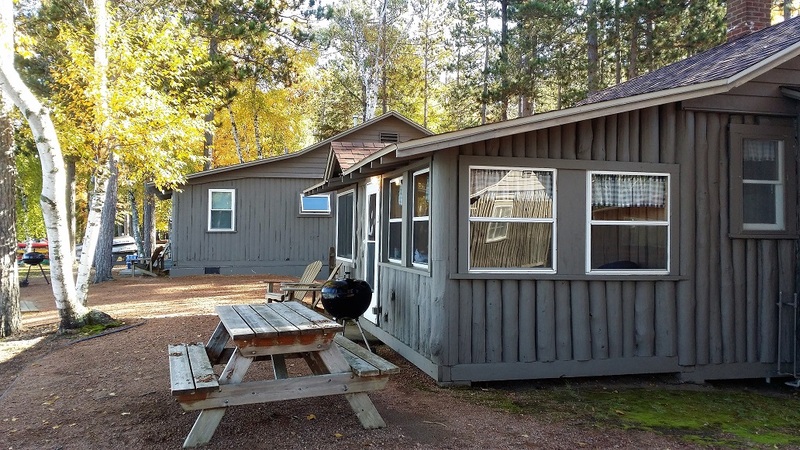 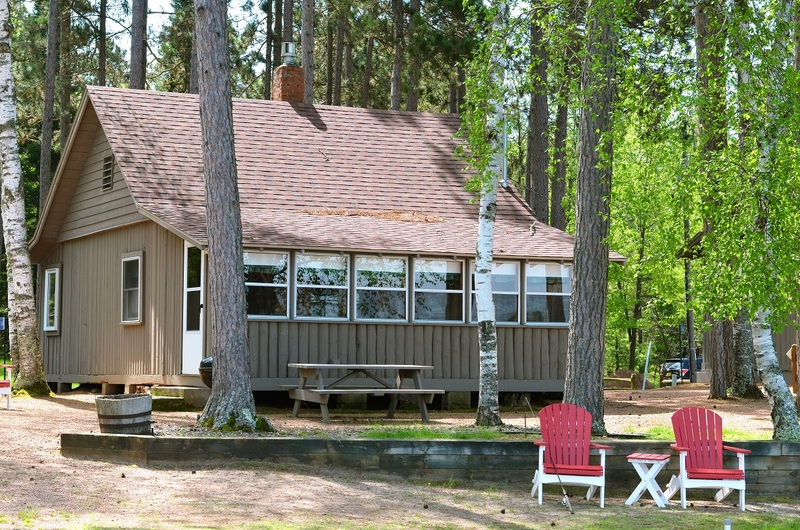 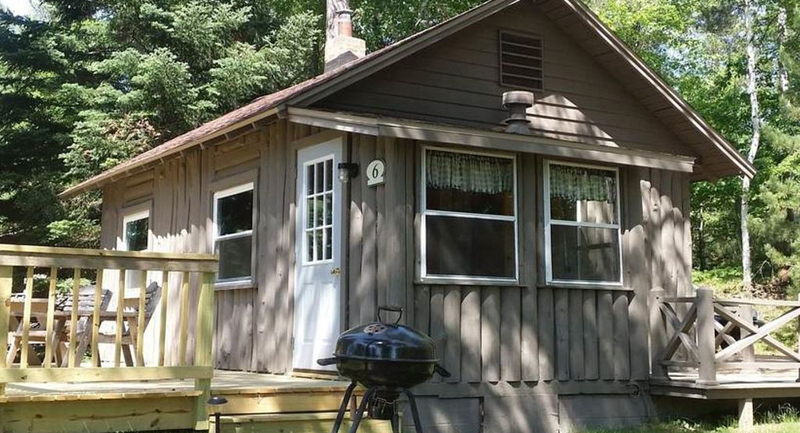 We include a really big gas bbq grill with this cabin and provide the gas too! 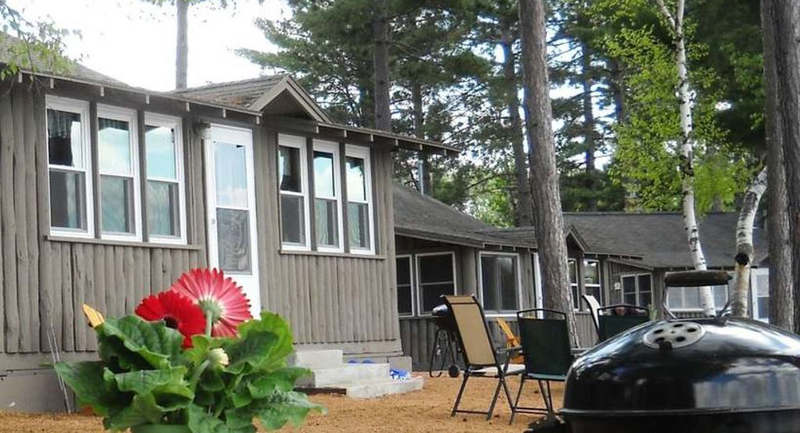 This unit is perfect for families or groups on a longer and active holiday. 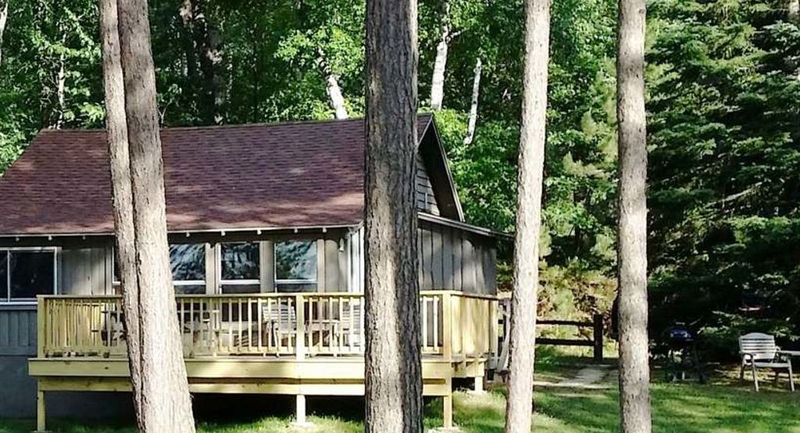 This cabin is an walk to the beach along a trail through the forest and then down a tree lined lane, 5 minutes. 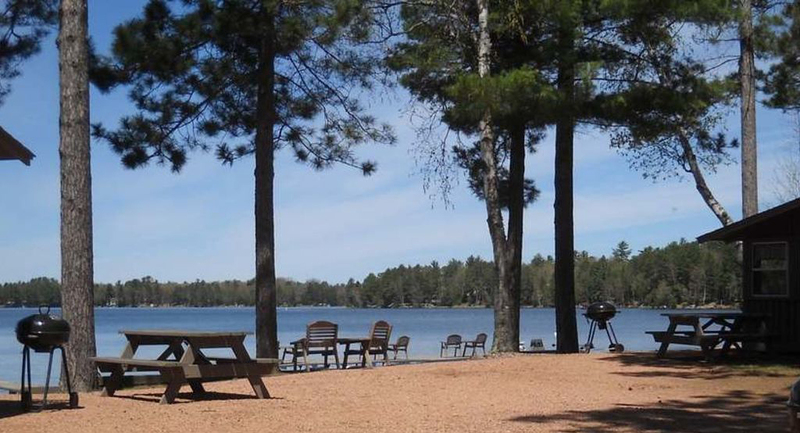 Once at the lake you have your own parking place and picnic table to make a day of it. 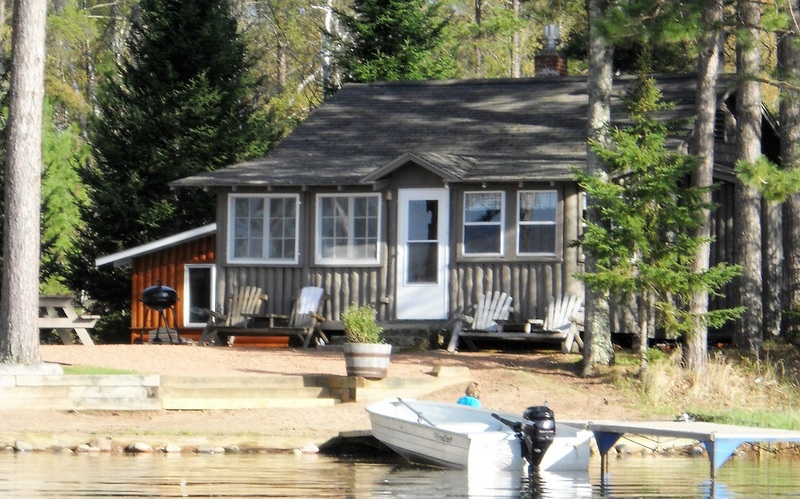 There is access to a keyed bathroom at the lake, a shared dock, a pet friendly beach area and more!